Looking for a new Toyota Camry, Corolla, or a colorful RAV4 around Palmdale? Look no further! Frontier Toyota in Valencia, CA has 455 new Toyota cars for sale. Toyota models feature Toyota Safety Sense™ (TSS), a high-tech panel of active safety features – adding a peace of mind to your Lancaster-area cruise. Explore our vast inventory of new Toyota cars, SUVs, minivans, hybrids, trucks, and more. If you’re looking to save even more, take a peek at our lease and finance offers or our new vehicle specials. When you’re ready, simply complete this easy-to-use and secure contact us form to schedule a test drive around Valencia, CA. 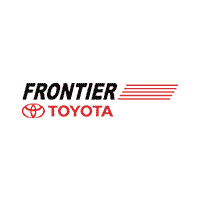 By submitting this form you agree to be contacted by a Frontier Toyota staff member. There are plenty of reasons why drivers around Bakersfield choose Frontier Toyota. Of course, we have a massive inventory of new Toyota vehicles and used cars. We can also help you customize your vehicle with genuine Highlander accessories and other options. What’s more, we also offer rotating service specials for routine maintenance. On top of all this, we’re a well-regarded dealership. In 2017, we received the Toyota’s President’s Cabinet award, and we’re always connecting customers with local attractions like these golf courses in Van Nuys! Ready to experience Frontier Toyota’s commitment to a great customer experience? Calculate your estimated monthly payments and apply for financing online!